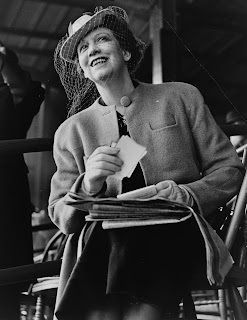 Elizabeth Arden was originally named Florence Nightingale Graham, born in Canada in 1878. She lost her mother at the age of 6 and grew up with her father, sisters and brother. As she grew up, she explored nursing school and various other jobs in Toronto. However, she always felt a certain unrest and knew that there was something bigger that she must do with her life. From early on, Florence was a visionary. As a nurse, she foresaw burn creams and skin salves not just as medicine, but with the potential to be beauty creams and lotions. She began to take over her kitchen at home as a laboratory, experimenting with various ingredients, relentless in her search for the perfect beauty cream. At one point, the neighbors were convinced that the terrible odors coming from the house was the smell of rotten eggs being cooked and that the family was too poor to buy fresh food! Florence faced many initial failures, and even had to face discouragement from people around her, including her family. Her father encouraged her to give up and get married - as proper young women did in the early 1900's. However, Florence always kept in sight her dream - her business plan of building a cosmetics corporation.